Zoya Anastasia – is probably the most complex polish I own from Zoya – it is brown, purple with hints of burgundy infused with a TON of gold shimmer. This is one of my GO-TO polish during the Fall season, it compliments Fall clothing beautifully and is such a warm and inviting shade. In particular, I think this is fantastic for working women as well because it is dark enough to be trendy but neutral enough to be an office polish. It is such a beautiful nail polish – very hard to dupe as well – I have NEVER seen another polish come close to this polish – so that is saying something! The colour of the polish reminds me of the changing Autumn leaves and I simply can’t get enough of it!! It is such a sophisticated colour as well, think Upper East Side on Gossip Girl.In my opinion, it is one of Zoya’s more unique and signature polishes and it is a MUST HAVE if you are a nail polish addict like myself. It applied beautifully in two coats and I always get TONS of compliments when I wear this girlie. What I love most about it is that it goes with everything fashion wise during the Fall season and I would not be surprised if a fashion designer used this polish in their Fall/Winter Collection. I simply ADORE this one on my skin tone and I think it will compliment everyone’s skin tone as well. When I think of this polish, wearing chunky scarfs with tall Fall boots and layered clothing with my favourite warm beverage in hand comes to mind. 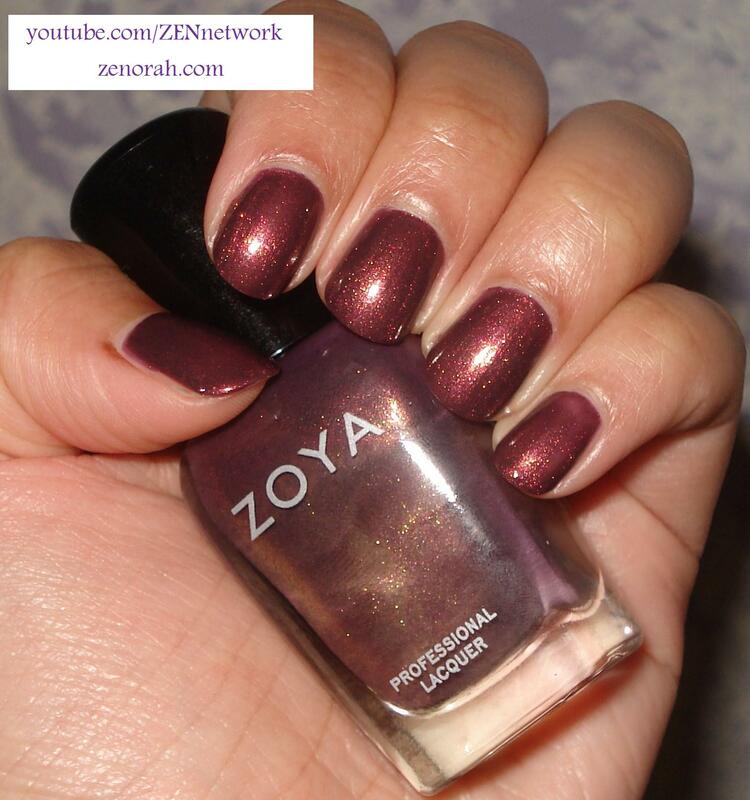 If you are one like myself to have a weakness for Fall shades – add this to your Zoya wishlist – you WILL NOT regret it! Do you own Zoya Anastasia? What are your thoughts on this nail polish?